Happy Saturday! I don’t know about you, but the weekend could.not.come.soon.enough. this week. Last night for dinner I made a jerk chicken that tasted delicious but I got distracted and my delightful jerk chicken became “blackened chicken”….WHOOPS. 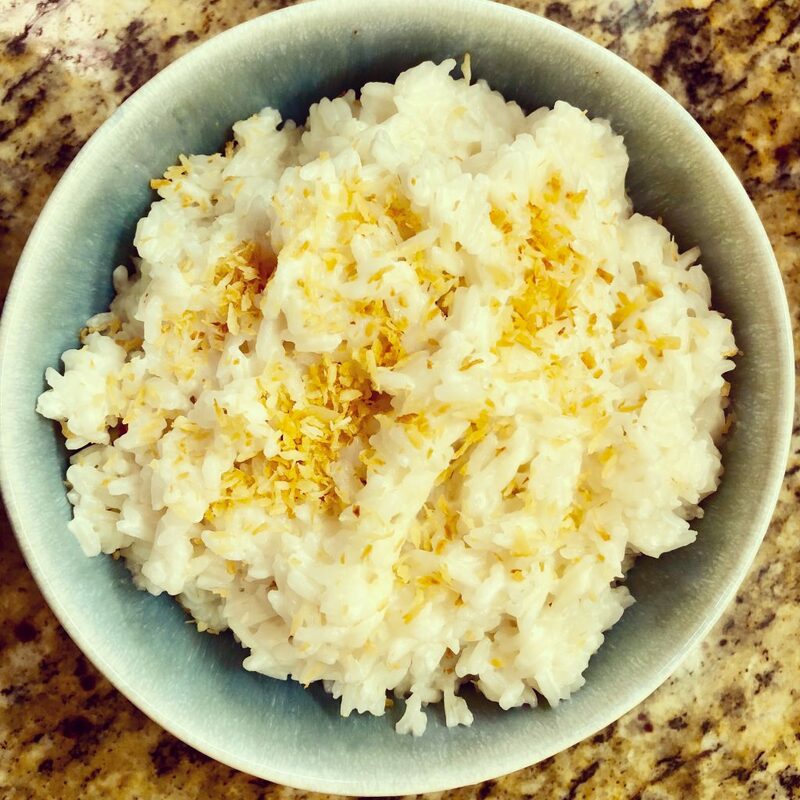 Anyway, since jerk chicken has some heat, I wanted a creamy side to tone down the spice level, so I whipped up some 30 Minute Coconut Rice and it was the perfect addition! 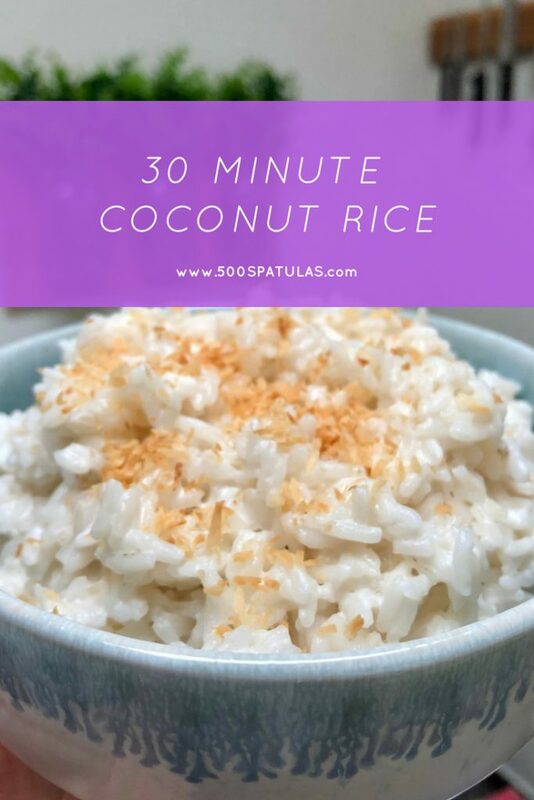 Maybe it would have been even better had I not scorched the chicken 😂 This 30 Minute Coconut Rice recipe is quick to prepare, and is simple to tweak to suit your entree. I hope you love it! 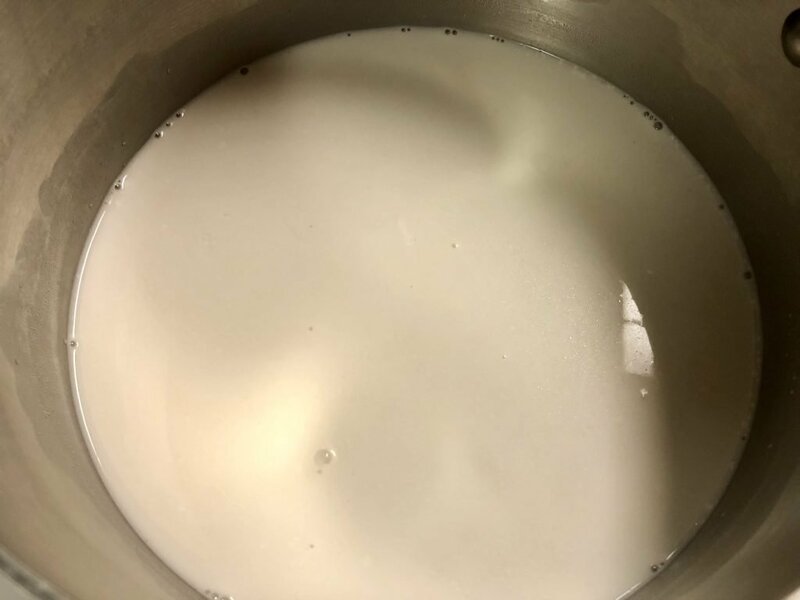 In a saucepan, combine the coconut milk, water, sugar and salt over medium heat. Stir to dissolve the sugar, and bring to a gentle boil. Add the rice, stir once, lower heat to simmer and cover. 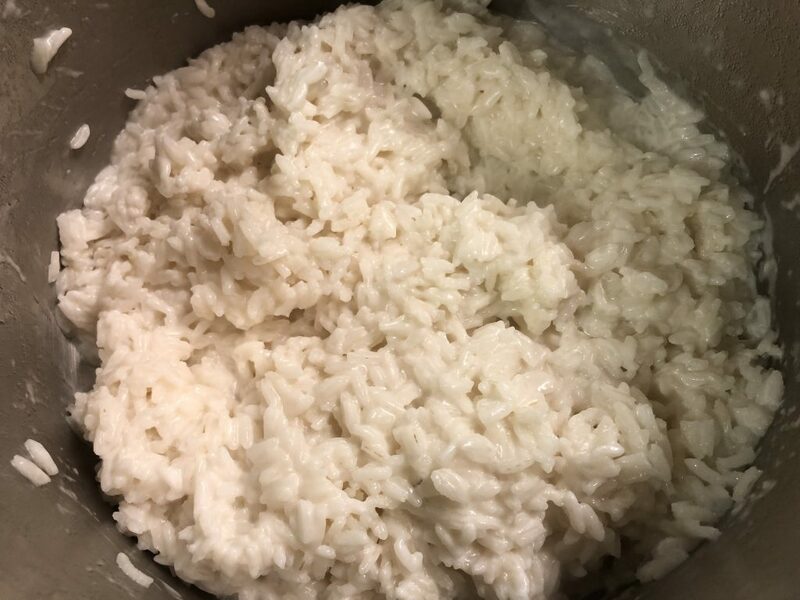 Cook on low for 18 minutes or until rice is tender. While the rice is cooking, place a small frying pan over medium heat. 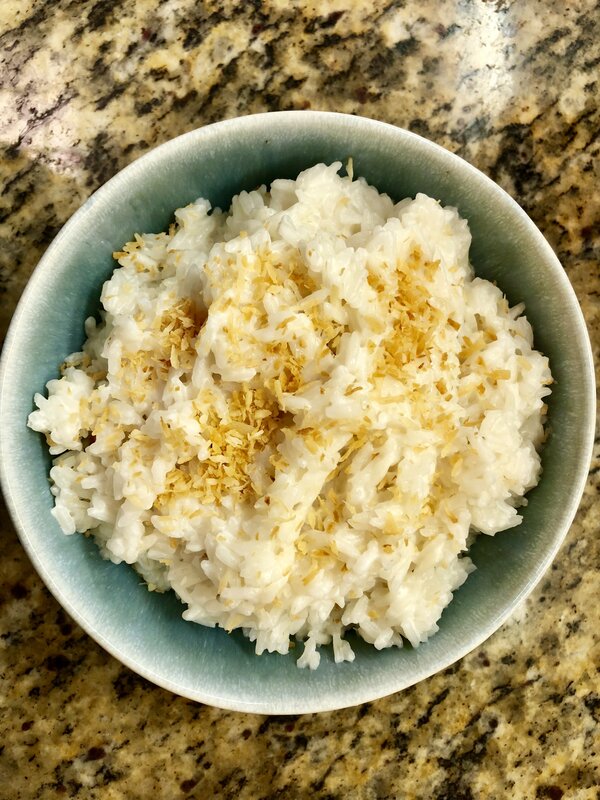 Add the coconut flakes and stir frequently until toasted, about 1 minute. 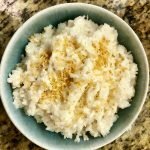 Top cooked rice with toasted coconut flakes and enjoy! To mix it up, you could add some lime zest and/or chopped cilantro. In a saucepan, combine the coconut milk, water, sugar and salt over medium heat. Stir to dissolve the sugar, and bring to a gentle boil. Add the rice, stir once, lower heat to simmer and cover. Cook on low for 18 minutes, or until rice is tender.